A United Airlines flight headed to Chicago was delayed for nearly an hour in Boston after police said a passenger made a fake bomb threat. BOSTON (WLS) -- A United Airlines flight headed to Chicago was delayed for nearly an hour in Boston after police said a passenger made a fake bomb threat. United Airlines Flight 439 was set to leave Logan International Airport when troopers boarded the plane around 7 p.m. Wednesday. Massachusetts State Police said other passengers overheard 55-year-old Dennis Campbell, of Uxbridge, Mass., claim he had a bomb in his bag. Campbell was arrested and is being held on $250 bail. He will be arraigned on Thursday. 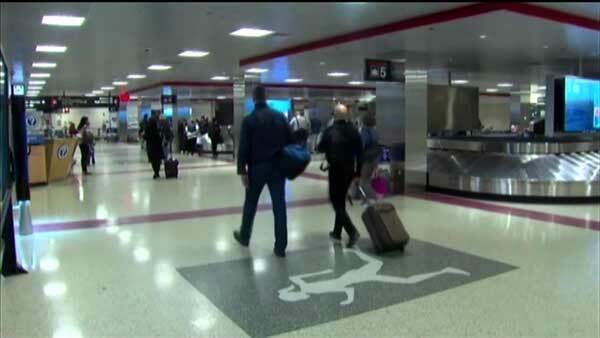 The flight was delayed about 50 before departing for O'Hare International Airport.